Uptown. The name seems more generic than natural. And the district the city calls Community Area #3 did start out as a series of separate communities. During the 1850s, two rival railroads–the Milwaukee Road and the Chicago & North Western–built parallel lines north from Chicago. Where the railroads opened stations, settlement sprang up. Buena Park was about five miles north of Madison Street. Moving further north, there was Sheridan Park, then Edgewater. All three were annexed by Chicago in 1889. 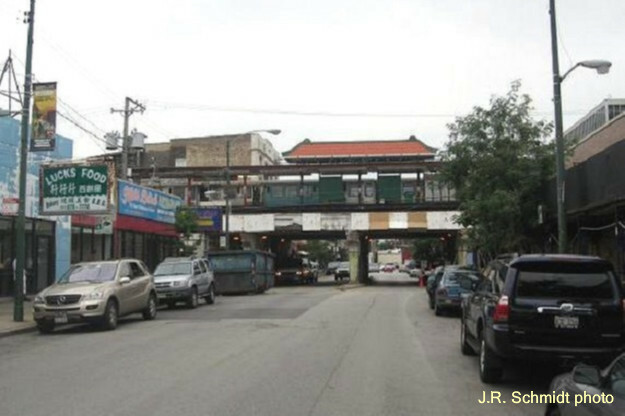 In 1900 the first North Side ‘L’ line pushed through the area to a terminal at Wilson Avenue. Rapid growth followed. The three distinct communities lost their separate identities and blended together. 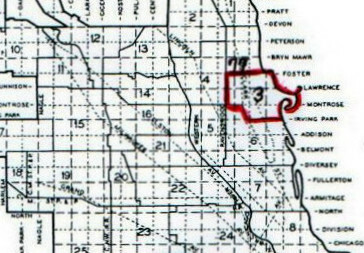 By the 1920s the whole area was referred to as Uptown. Why “Uptown?” If you think about it, that was pretty savvy marketing. The name tried to put the community on the same level as Downtown, aka the Loop. The main local business street also adopted a more cosmopolitan identity: Evanston Avenue became Broadway. In New York, Midtown was outpacing the city’s older business areas. The same thing could happen in Chicago. Uptown boosters predicted that one day the Broadway Limited would locate its Chicago terminal at Wilson Avenue. It seemed possible in the 1920s. Department stores, banks, hotels, and every manner of business were moving in. You could find or do almost anything in Uptown. Even Al Capone was investing in local real estate. People from all over Chicago came to Uptown for entertainment. The action centered around the intersection of Broadway and Lawrence. Major movie palaces included the Riviera and the 4,000-seat Uptown, the city’s largest. For dancing, there was the Aragon ballroom. The Green Mill was the place to go for hot jazz, and over on Clark Street, the Rainbo Gardens complex offered assorted cabaret shows. After a busy Saturday night, there were churches available. All Saints Episcopal and St. Mary of the Lake Catholic were architectural treasures. The biggest congregation gathered at the People’s Church, where flamboyant Unitarian pastor Preston Bradley held forth. 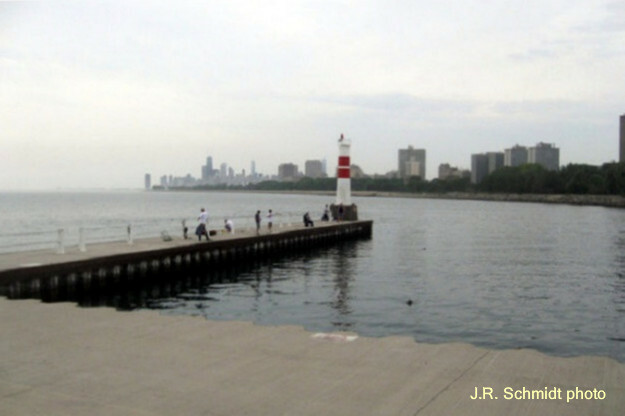 Summer Sundays might also include a visit to Lake Michigan for fishing off the Horseshoe or swimming at Montrose Beach. And when you died, you could still find what you needed in Uptown. Graceland Cemetery, the city’s most fashionable burying ground, was located in the community. The Crash of 1929 and the Depression hit Uptown particularly hard. Businesses died and money left. Large apartments were carved into rooming houses. Poorer people moved in. The newcomers included African-Americans, American Indians and Appalachian whites. By 1970 portions of Wilson Avenue had become a skid row. The crime rate soared and ‘L’ commuters were warned not to change trains at Uptown stations. About this time residents north of Foster seceded from Uptown, gaining official recognition as Community Area #77, Edgewater. Some sections of Uptown remained intact. These were mostly on the outer edges, near the Chicago & North Western tracks or along Marine Drive. Two blocks of Hutchinson Street were designated an architectural landmark district. The construction of Truman College helped stabilize the central area. During the 1980s nearby Wrigleyville and Boys’ Town began attracting yuppies, and it seemed likely Uptown would follow this path. That brought protests from various community groups. They claimed that Urban Renewal simply meant Poor Removal. Three decades later, gentrification continues to be a hot-button local issue. Today Uptown is home to 56,000 people. One of Chicago’s more diverse communities, the population is identified as 52 percent white, 20 percent black, 14 percent Hispanic, 11 percent Asian. Uptown endures. The Green Mill and the Aragon remain in business. Along Argyle Street, Asian restaurants are thriving. The boarded-up Uptown Theatre still stands, awaiting a financial angel with deep pockets. New apartments and commercial development have replaced the old ‘L’ yards on Broadway.